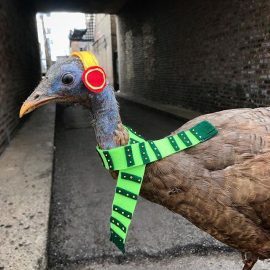 If you are planning to make the most of your weekend at the Chicago Vintage Clothing and Jewelry Show, there are other vintage stores near us on Chicago’s North Side. Chicago’s antique department store is a premier vintage and antique shopping experience with 75 different dealers and two levels in over 20,000 square feet. If you can’t get your fill of vintage jewelry or are also on the hunt for vintage pyrex, chances are good you can find it at Broadway Antique Market! Edgewater Antique Mall is a cooperative of 40 vendors specializing in the best furniture and decor of the 20th century. 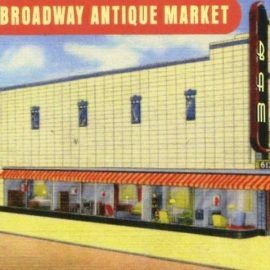 Whether Mid Century modern is your jam or industrial, Edgewater Antique Mall is a Chicago vintage store well worth checking out. including Andersonville, Evanston, and Wilmette. Wooly Mammoth is a unique Chicago vintage store boasting a curated collection of antiques and all things odd. For the curious and strange this is a must-see store for medical oddities, antique taxidermy, and historical eclectica. Secret Treasures is a charming vintage store that carries vintage and antique collectibles in various categories including jewelry, small home goods, kitchenware, glassware, ephemera and more. Since they buy from the public the inventory changes daily so you never know what “secret treasure” is waiting for you. Located in Wilmette, Heritage Trail Mall is a Chicagoland vintage store that is family owned and houses quality vintage goods from 70 dealers in more than 7,000 square feet. Their large collection includes vintage fashions, fine antique furniture, and everything in between so while you’re shopping in North Chicago, consider visiting Wilmette for the goodies in store at Heritage Trail Mall. 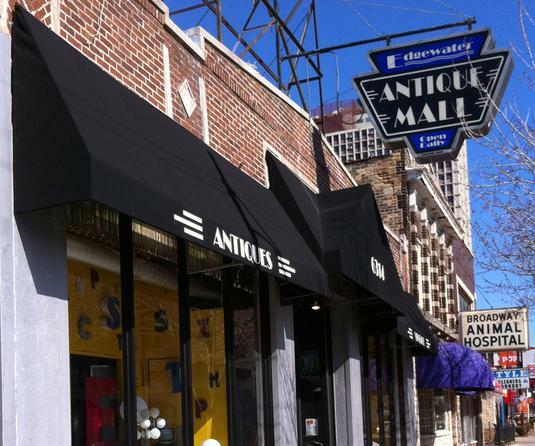 As you can see from this list, Chicago is a great place for shopping vintage of all kinds. For the ultimate in vintage clothing and jewelry, come to Chicago’s only all vintage fashion event, Chicago Vintage Clothing and Jewelry Show on March 8th and 9th 2019! Check out the visitor info HERE!